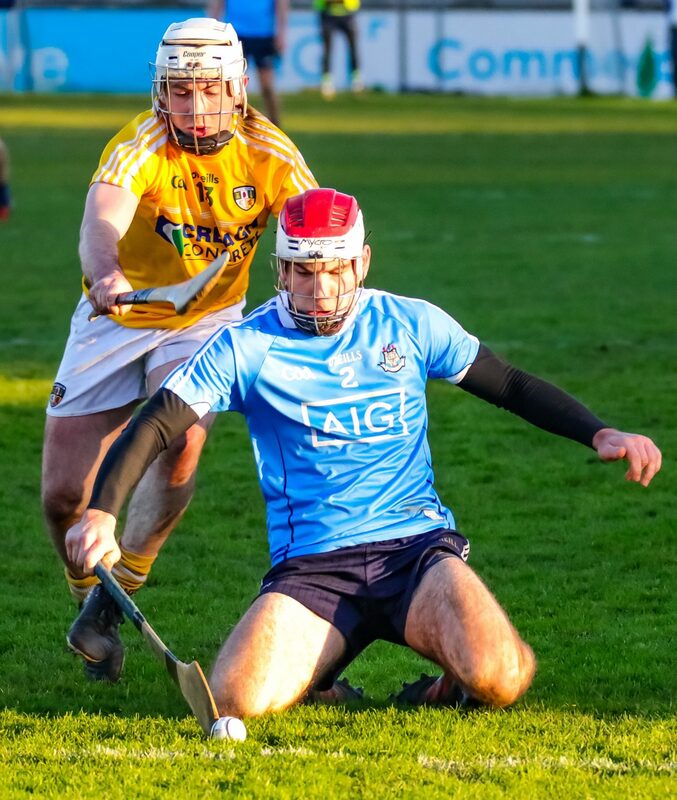 Pat Gilroy’s Dublin side booked their place in the Walsh Cup semi finals with an easy 11 point victory over Antrim in Parnell Park this afternoon. 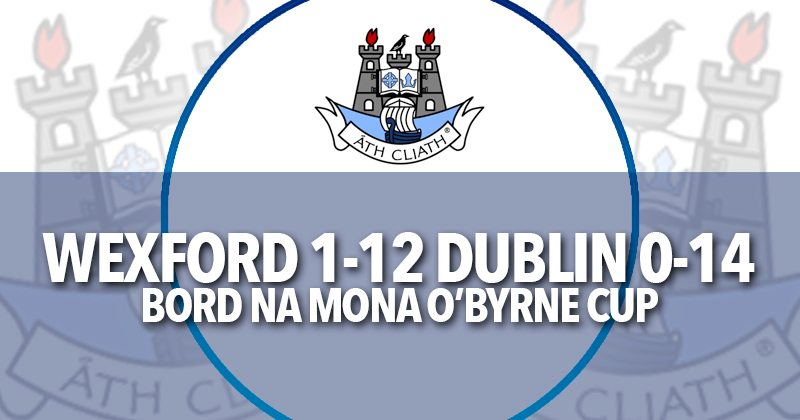 A pair of goals in each half helped Dublin cruise to the win, two coming from the hurl of Alan Moore and Paul Crummey and Paul Winters hit one apiece. Not surprisingly Dublin with 11 players in their starting line-up who had featured against Tipperary in a challenge game just 24 hours previously, began the game a little sluggish and Antrim raced into a five point lead courtesy of five well struck frees, four from Neil McManus and the other from Ciaran Clarke. But a well taken goal and a point in the 8th minute from Paul Crummey kickstarted Dublin into life and they followed that up with a further four points in a row, Paul Winters with a brace of converted frees and Robbie Mahon and Darragh Gray with one each from open play. 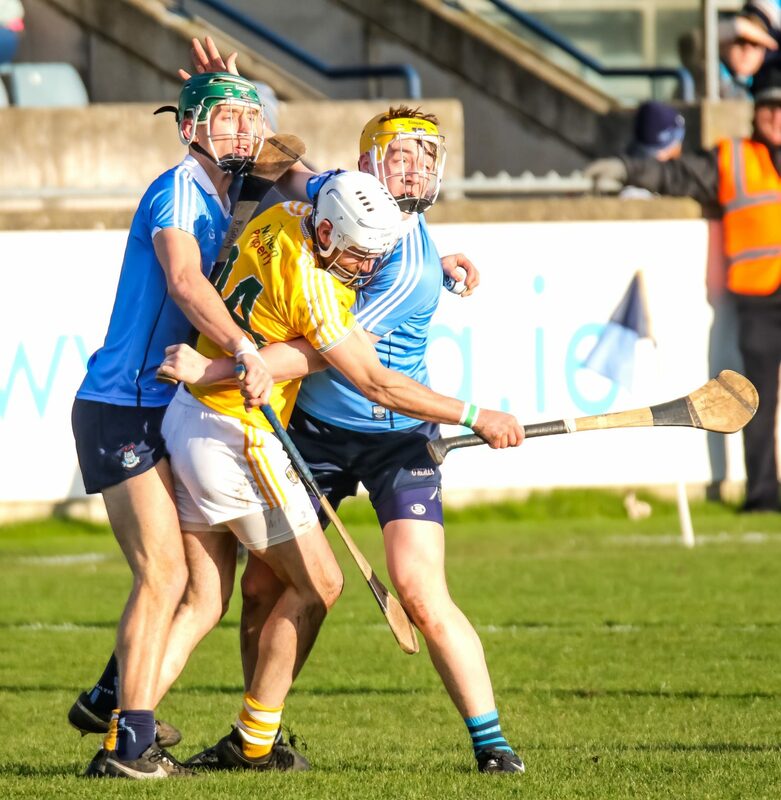 Antrim will be disappointed with their shooting today which culminated in a final total of 15 wides for the game and with their forwards struggling to register scores they were reliant on free taker Neil McManus to keep them in the game. Mcmanus scored his only point from play in the 19th minute of the first half but that was quickly wiped out by a well taken Paul Winters free. 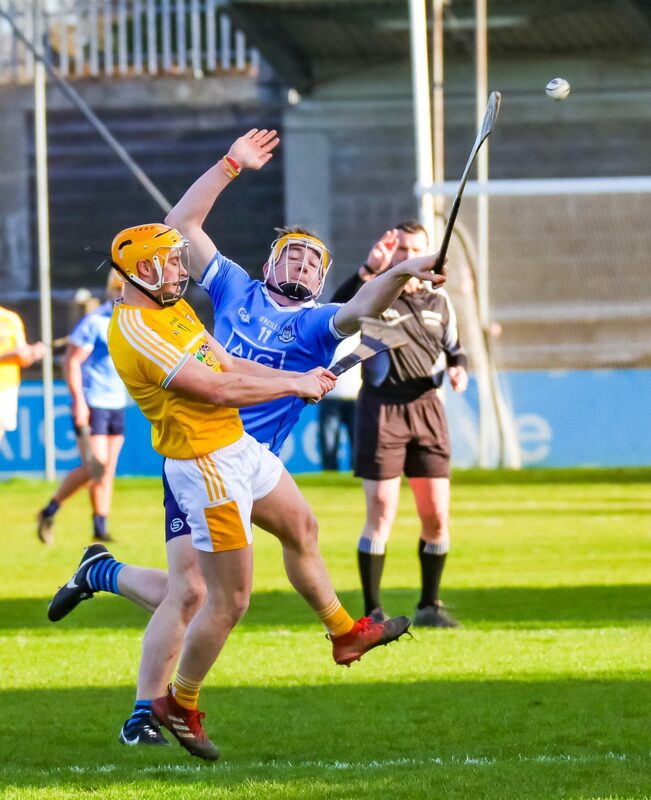 Antrim’s Conor McCann reduced the deficit with his only score of the game, but any glimmer of hope of a comeback for the Saffron’s was ended when Dublin grabbed their second goal of the half in the 26th minute. Dublin’s Alan Moore was very unlucky after a brilliant run through the Antrim Defence to see his shot cannon back off the crossbar but the ever alert Paul Winters gathered the rebound and finished to the net. 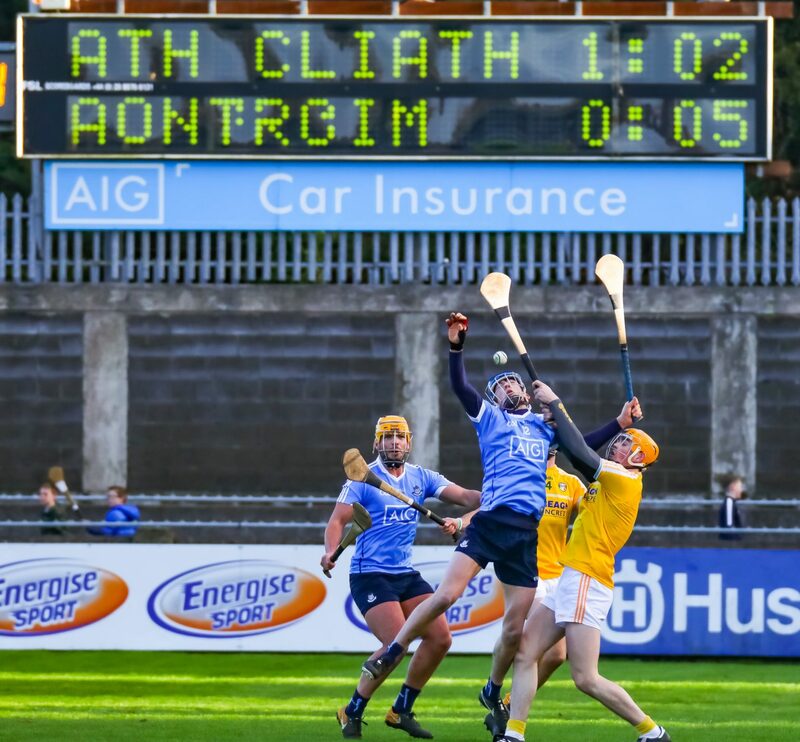 Even with a full half to play the writing was already on the wall for Antrim, the sides traded a pair of points apiece before the short whistle and Dublin headed to the dressing rooms with a six point lead with the scoreboard reading 2-09 to 0-09 in their favour. The second half started much like the first with Antrim that little bit sharper in the opening exchanges. A pointed free from Neil McManus two minutes into the second half reduced the deficit to five. But two goals in a four minute spell from Alan Moore all but ended the game as a contest. 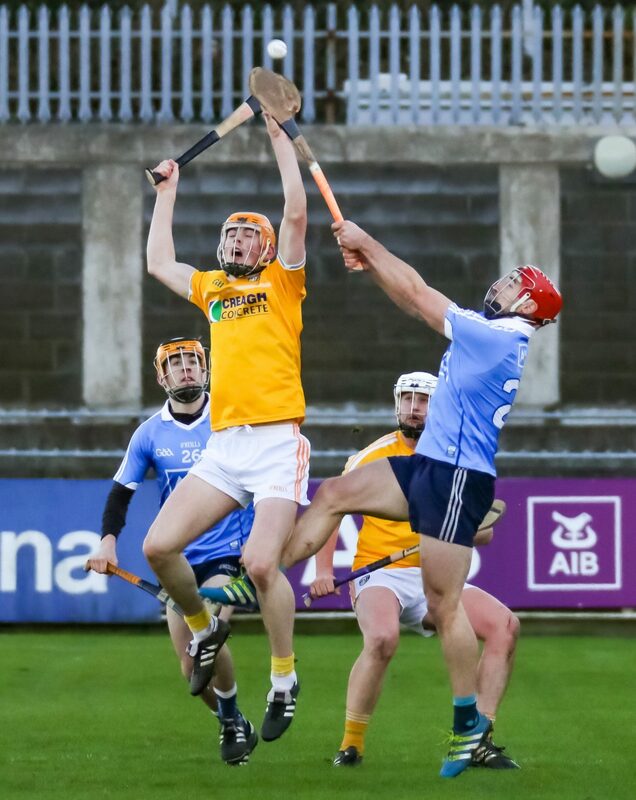 Antrim battled till the end but they could never really muster a spell of continuous scoring threat to pressurise the Dublin lead. They did outscore Gilory’s charges by six points to three in a ten minute spell midway through the second half of the game. 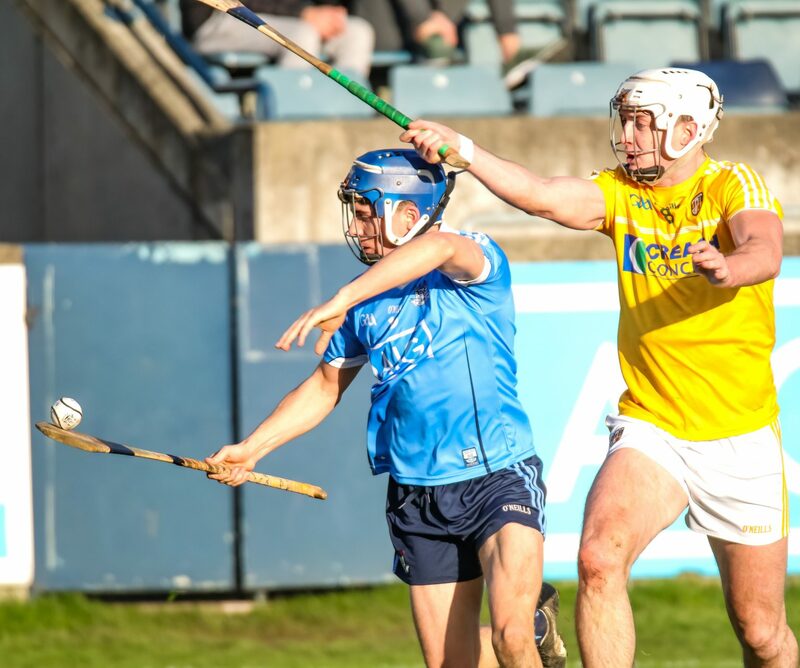 But Dublin finished the stronger down the home straight hitting four unanswered points to ease home, three from Robbie Mahon who finished with a personal tally of 0-06 and Alan Moore added to his two earlier goals with a sumptuous point. Dublin will now face Wexford next Sunday in the semi final of the Walsh Cup with the game taking place in Parnell Park at 2pm.